I would choose to be a s/w architect. If no choice given, I will still become a s/w architect. I think you made the right choice, Balu. 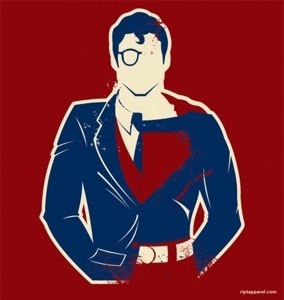 Superman happens to be a personal, lifelong friend of mine. Over the years, we’ve had many talks about the duties, responsibilities, and problems of being a super hero. He said it isn’t easy. He’s in constant demand. There’s a certain degree of danger inherent in the job. People are always asking for autographs, a photo with him, his phone number, or his email address. He’s constantly invited to birthday and dinner parties. Then there are the offers to be sponsors of products. He doesn’t get much sleep either. He said it’s that way with all the super types. On several occasions people have tried to cut off a piece of his cape. Of course it didn’t work. They broke their scissors on the material. Others, regular people, have tried shooting him, stabbing, him, kidnapping him, etc. Most of them got jail sentences. He also said keeping up appearances as a mild mannered reported is also a strain. He’s living a lie. Bottom line, he once told me he’d rather be a software architect. Life would be some much simpler and manageable. Really! So there you have it. He’s told me a lot more, but I think you get the idea. Thanks, Balu. have a great week. Right choice Balu. You are good as you are. Blessings. What an interesting choice Balu ! 🙂 Any particular reason behind your choice ?